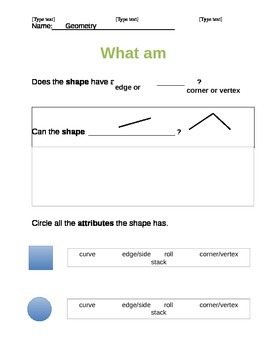 A simple way for teachers to review geometry with their students. 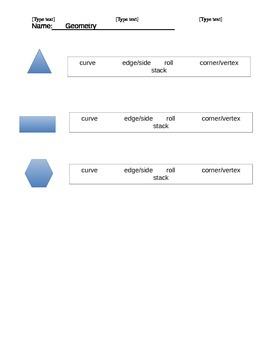 The first page involves having a shape given to the students to analyze and the second page is for them to text their knowledge or explore shapes if available. The file is in a word document to alter for your needs.